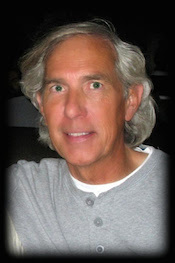 James Campbell, formerly with Tornado Industries, a manufacturer of professional cleaning equipment, and Brady Industries, a janitorial and sanitation distributor based in Las Vegas, passed away on June 3, 2015. He was 63 years old. According to Michael Schaffer, a longtime colleague and friend, Jim passed away at MD Anderson Cancer Center in Houston, TX, surrounded by his wife of 32 years, Lisa, and his family. The cause was complications associated with leukemia. "Jim was first diagnosed with acute myeloid leukemia (AML) in August 2014," said Schaffer. "Because he was a Navy veteran he was originally treated at San Francisco VA Medical Center. His treatment was then transitioned to MD Anderson Cancer in Houston, TX, where he had undergone various treatments including a stem-cell transplant just 70 days prior to his passing." Campbell started his career in the professional cleaning industry in 1980 when he was hired by Breuer Electric Manufacturing Company, which later became Tornado Industries. Based in Southern California, he represented Tornado in Southern California, New Mexico, Arizona, and Nevada. In time he was promoted to sales supervisor, in addition to maintaining his own territory. After leaving Tornado, Campbell joined Brady Industries as an equipment specialist. He also held positions as Hild, makers of floorcare equipment, and EDIC, a manufacturer of professional carpet cleaning equipment. "Jim retired in March 2014, just a few months before his diagnosis," said Schaffer. "He is leaving behind a large number of friends in the industry along with the many customers he worked with."